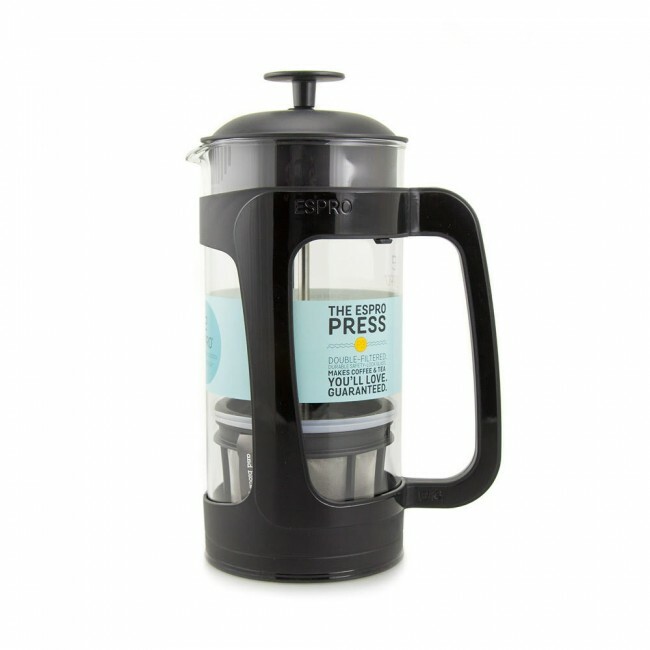 Espro furthers the future of French presses with their Espro Press P3! Their claim to fame? A patented silicone-sealed, double-nylon filter that brings better clarity and less grounds in your cup—without sacrificing the signature body of pressed coffee. 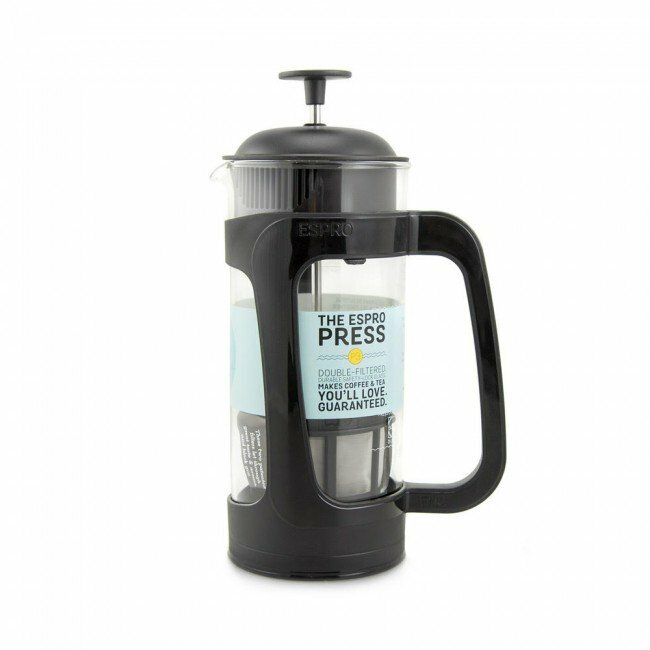 This focus on quality coffee is matched with quality design, with a thick glass vessel and a sturdy plastic frame complete with a locking lip that helps prevent drops and spills. Available in 18- and 32-ounce sizes. BPA-free and dishwasher-safe. 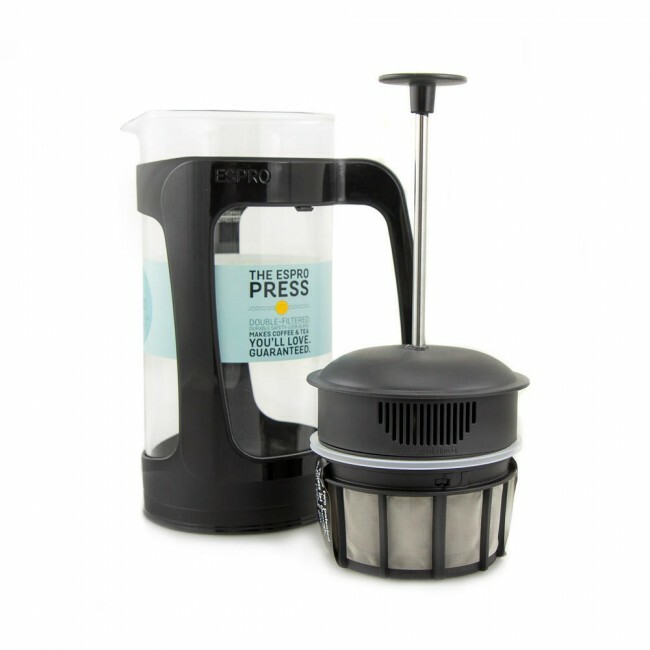 Coffee Filtration - A dual-layer nylon filter, silicon-sealed edges and optional paper filters give the Espro Press better filtration than most presses on the market. Heat Retention - An insulated lid and thicker, heat-resistant glass helps keep your coffee warm. Heavy Duty - Thicker glass, a full-size plastic base and a locking tab promises a sturdier design sure to hold up better to knocks and bumps. Dishwasher-safe - Disassemble and drop into dishwasher for easy cleanup after use. 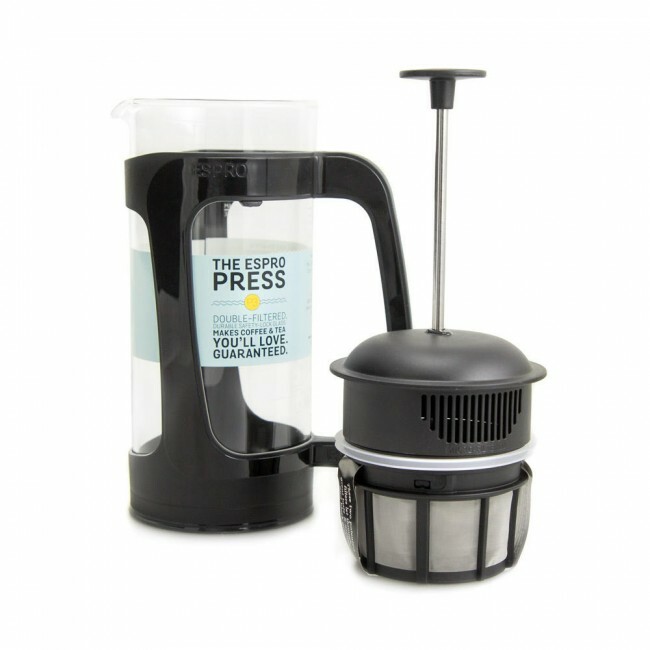 The P3 is Espro's entry-level press. You get the same filter-and-press design as their other models at a lower price point. Other models include the metal-framed P5, and the all stainless steel P7. Disassemble and wash with warm soap and water after use.